the transition from static HTML Webpages to a more dynamic Web that is more organized and is based on servingWeb applications to users. Reports typically delivered within 24 -48 hrs. 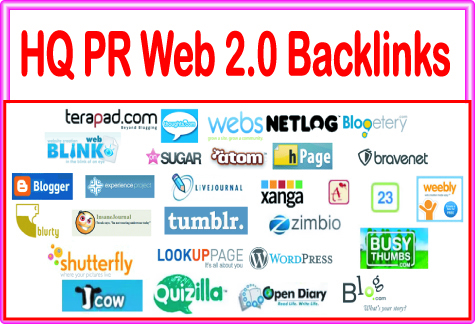 Create 75 Web 2.0 blogs Highest Quality & Most Effective Backlinks is ranked 5 out of 5. Based on 4 user reviews.